Redfin, Zillow, and other real estate websites provide walk scores to potential homebuyers for neighborhoods, listings, and off market homes, with the idea that higher walk scores will entice more buyers. Redfin states that “56 percent of millennials and 46 percent of boomers prefer walkable communities,” so it makes sense to me that more and more websites provide such scores to potential homebuyers and sellers. There are five categories of walk scores a home or neighborhood can have: 0-24 is ‘Car-Dependent’, meaning almost all errands require a car, 25-49 is also ‘Car-Dependent’, meaning most errands require a car, and a score of 50-69 means a neighborhood is ‘Somewhat Walkable’ and some errands can be accomplished on foot. A score of 70-89 is ‘Very Walkable’, and most errands can be accomplished on foot, while 90-100 is a ‘Walker’s Paradise’, and daily errands do not require a car. When typing my address into walkscore.com it shows that my home is in a ‘Very Walkable’ area with a walk score of 73, and a bike score of 74, meaning it’s also ‘Very Bikeable’ (walkscore.com also provides a transit score, which is based on how close public transportation options are). This is great news, as I have three kids and a dog who enjoy walking to one of the four nearby parks and the local elementary school, which is about a ten-minute walk from my house. 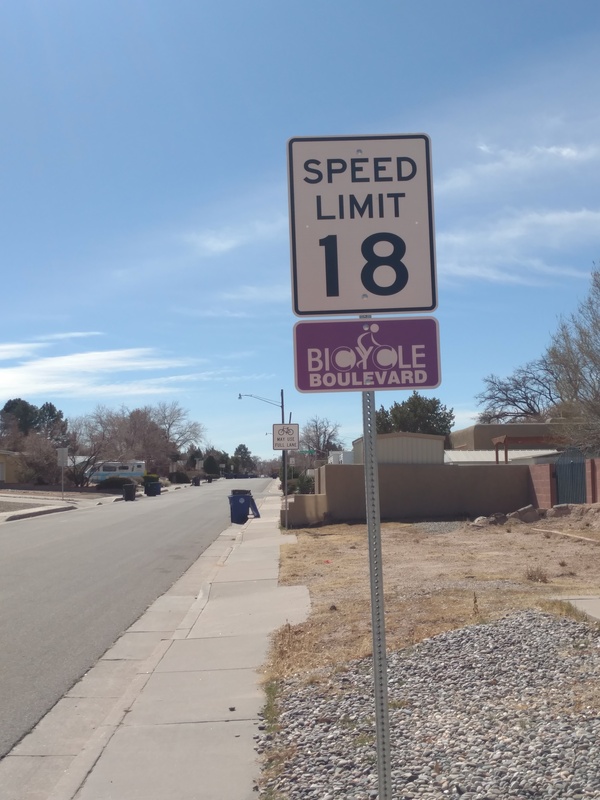 I also happen to live in a corner house where both intersecting roads are 'Bicycle Boulevards', as designated by the city of Albuquerque, where the speed limit is 18 miles per hour. My neighborhood has wide sidewalks and bicycle lanes with signs posted up and down these roads saying that bicycles can take the whole lane. 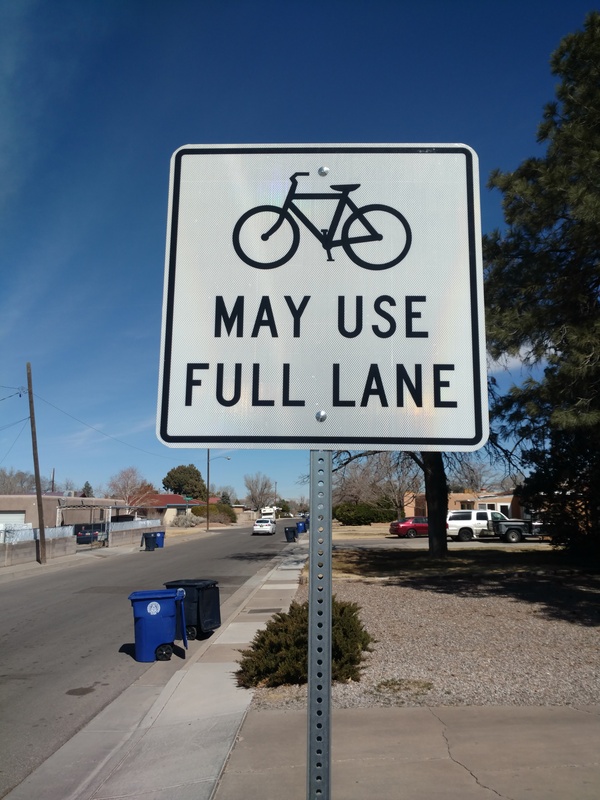 There are no stop signs on the bicycle boulevards except for the four ways where some of the bicycle-friendly streets intersect and at busier roadways. Every other intersecting street has stop signs which will presumably prevent vehicles from racing onto the bicycle boulevards and creating safety hazards for pedestrians and bicyclists. Unfortunately, cars don’t always stop at these stop signs or go the posted speed limit, however I have seen a reduction in the number of stop sign-runners since the east-west road on the south side of my house was designated a bicycle boulevard a couple months ago. 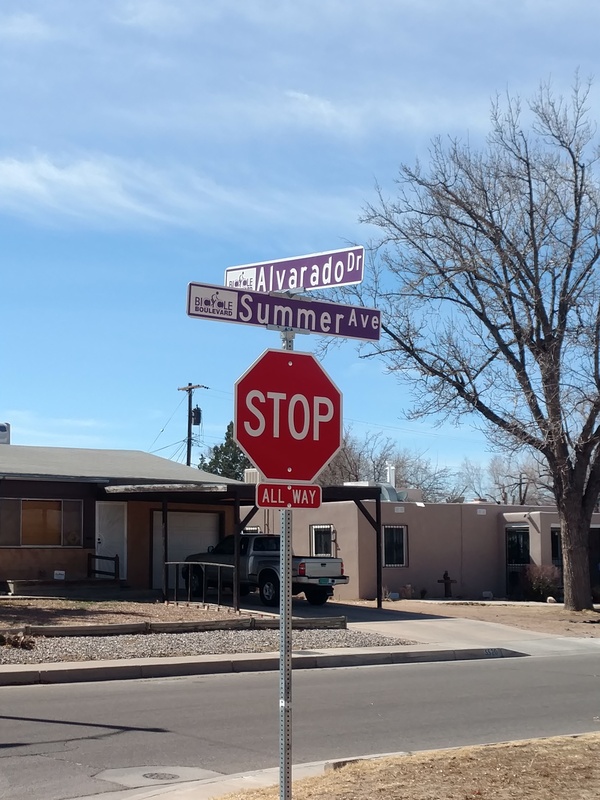 My girlfriend and I like to sit on the front porch and make bets on which cars will actually stop at the stop signs, which we’ve been doing for nearly a year now, so I do have a pretty good sense of how well the new signs and improvements have worked. The city also put a pedestrian and bicycle friendly median in the middle of two of the major roadways these bicycle boulevards intersect – one on Sand Pedro & Summer and one on Lomas & Alvarado. The median on Lomas & Alvarado provides a traffic light which pedestrians and bicyclists can use to stop traffic along Lomas so they can cross safely. When I’m walking my dog at night I like to use this traffic light to stop cars so I can cross, then I turn around and see how many vehicles run the light while it’s still red. So far, about 90-100 percent of the time all the cars will run this light while it’s still red instead of waiting for it to turn green, and many don’t even bother to stop while I’m still crossing the road (on a side note, I’ve also seen police cruisers and even my neighbors run the stop signs in front of my house). The median on San Pedro & Summer does not provide any lights to stop traffic and the school crossing guard does not stand at this location, but rather at the next road over on San Pedro & Constitution, however when I’m walking my kids to school I have noticed there are a few courteous drivers who will stop to let us cross this busy roadway. According to walkscore.com, the methodology used to rate a neighborhood’s walk score depends on the distance to amenities as well as by “analyzing population and road metrics such as block length and intersection density.” So even though the idea is to promote neighborhood health, there is still a lack of understanding of how these walk scores can also increase the safety of pedestrians and bicyclists, which is directly related to health, because if you get hit by a car your health will certainly decline. Just this morning, my daughter almost got hit by a car while bicycling to school as I ran with my dog behind her and my son. She was going up Summer about one block from her school, and as she approached a residential road where she had the right-of-way, a blue sports car came speeding up to the stop sign on the intersecting cross street, almost came to a stop, then slammed on the gas to blaze through the intersection, not even bothering to look at my daughter or any of the other kids who were walking or being dropped off at school. Luckily, I’ve taught my daughter not to trust any vehicles ever, so when she saw the car zooming up to the stop sign, she hit the brakes on her bike, which most bicyclists do not do, and watched as the car sped up to about double the speed limit as the driver rushed off to who knows where. Had she not stopped she very well could’ve ended up in the hospital instead of school, and it’s highly doubtful the driver would have stopped to help, as he was obviously in too much of a hurry to care that he was in a school zone, much less that there were pedestrians and bicyclists also using the roadway. I am still in favor of providing a walk score to potential home buyers and sellers, but improvements do need to be made, not just to their methodology, but to the way they promote public health and safety overall. 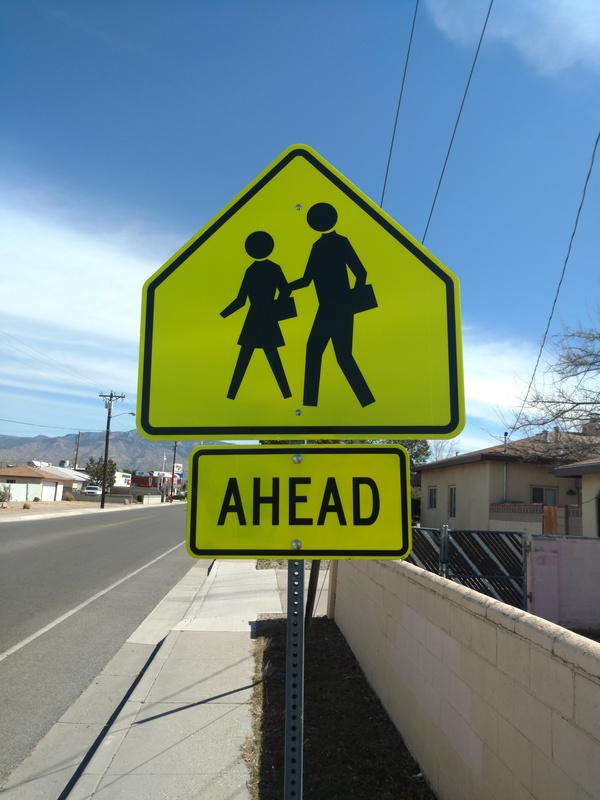 Not only can Walk Score do better, but so can everyone else, including government officials, community leaders, drivers, and others in trying to promote the safety and health of pedestrians and bicyclists in our local communities. Bokhari, Sheharyar. “How Much is a Point of Walk Score Worth?” Redfin, Aug. 3, 2016. https://www.redfin.com/blog/2016/08/how-much-is-a-point-of-walk-score-worth.html. Walk Score. “Walk Score Methodology.” https://www.walkscore.com/methodology.shtml. Scott Albright is an Associate Broker with The M Real Estate Group. 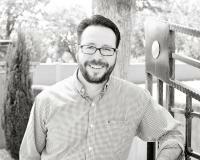 He has been working in residential real estate in the state of New Mexico for two years. He holds a Master's degree in China-U.S. Relations, and has a Bachelor's degree in political science with a minor in journalism. Scott can be reached on his cell phone at (505) 918-2370 or through the office phone at (505) 247-1002 ext. 156.